The Muppets Most Wanted opens today! Are you headed to the theaters with your family to watch? I love the Muppets because it brings back childhood memories. Always loved Kermit the Frog and Miss Piggy, along with Gonzo, Rowlf and the rest of the gang. Can’t wait to see their next adventure and share it with my kids! 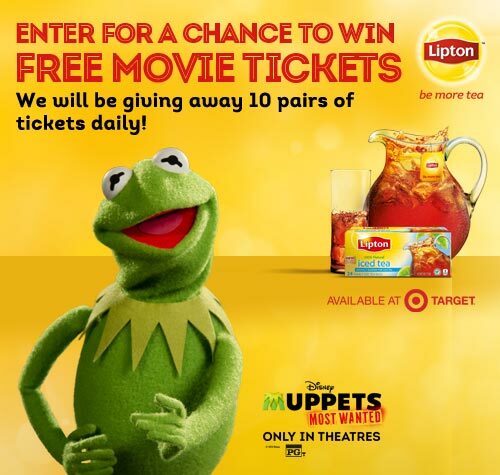 Lipton is partnered up with the movie for a great giveaway with 480 winners! Each day, until the end of April they are giving away a pair of tickets to the movie for 10 Winners! Watch this cute video clip and at the end you’ll be able to download a coupon for Lipton tea products available at Target AND enter to win the daily giveaway! See official sweepstakes rules here. This is a sponsored post by Global Influence and all opinions are my own. 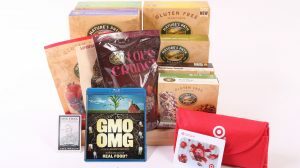 Fabulous Non-GMO Prize Pack Giveaway! My son just read the book and can't wait to see it.